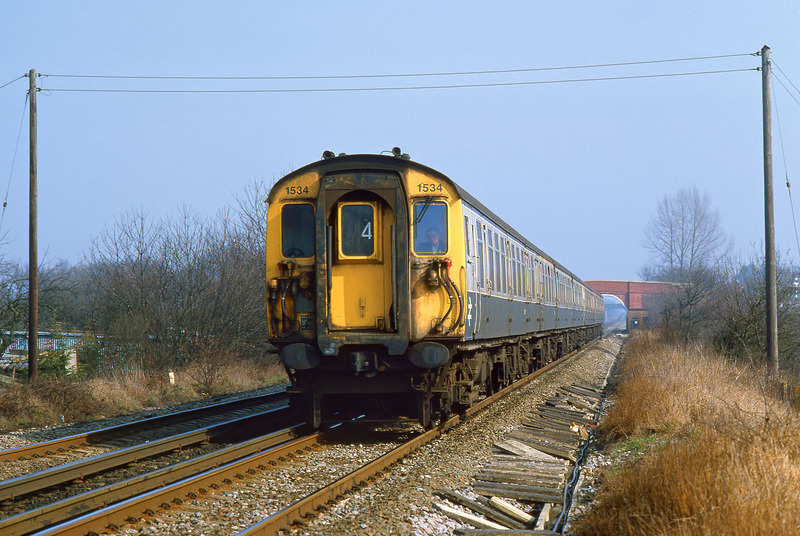 Class 411 4-CEP 1534 leads an unidentified classmate past Wanshurst Green with the 12:36 Margate to Victoria service on 15 March 1986. The dead straight line through the centre of Kent affords surprisingly few photographic locations. This reasonably open spot is at a footpath crossing near Bridgehurst Wood, and certainly in 1986 offered unobstructed views in both directions.